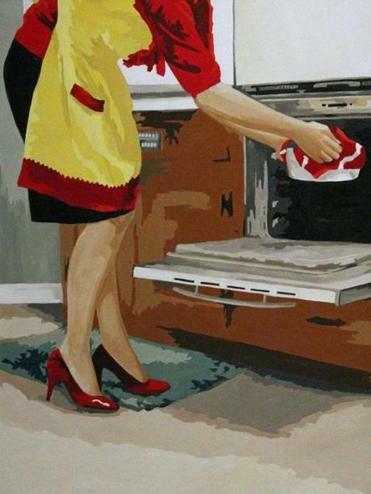 “What’s Cooking,” acrylic on canvas by Leslie Graff, is on exhibit along with work by five other female artists in “A Woman’s Work ... Interior/Exterior Exploration” at The Brush Art Gallery and Studios in Lowell. LOWELL A women’s work is never done. Just ask artists Stephanie Roberts-Camello, Betty Canick, Leslie Graff, Pamela Lawson, Michelle Lougee, and Carole Rabe, whose pieces are being exhibited in “A Woman’s Work . . . Interior/Exterior Exploration” at The Brush Art Gallery and Studios, 256 Market St. A reception will take place on Saturday, Jan. 26, from 2 to 4 p.m., and a Women’s Week artist talk will mark the last day of the exhibit on Sunday, March 3, at 2 p.m. Visit thebrush.org. NEWBURYPORT The Greater Newburyport Children’s Chorus is holding open auditions for singers in grades 4 through 8 on Tuesday, Jan. 22, from 5 to 6 p.m., at Hope Community Church, 11 Hale St. No music or vocal preparation is necessary. Walk-ins are welcome, or register online for a 15-minute time slot for a $10 fee due at the audition. GNCC Juniors, for singers in grades 2 and 3, does not require an audition, only registration at gncchorus.org. SOUTH HAMILTON Non-native speakers are invited to practice their English-speaking skills in a friendly, welcoming environment at Hamilton-Wenham Public Library, 14 Union St. Drop-in conversations take place on Tuesdays, 11 a.m. to noon, through March 26. Registration is not required; hwlibrary.org. WAKEFIELD Discover new talent while supporting a good cause, as Linden Tree Coffeehouse holds its Winter Potpourri benefit for First Baptist Church of Wakefield, which was recently destroyed by fire. Eight acts will compete to perform in future Linden Tree shows on Saturday, Jan. 26, at 7:30 p.m. at the Unitarian Universalist Church, 326 Main St. Tickets are available at the door for a $5 minimum donation; lindentreecoffeehouse.org. Anthony Geraci and the Boston Blues All-Stars will perform at The Spire Center for the Arts in Plymouth on Saturday, Jan. 26. NORWELL The James Library & Center for the Arts presents “Masterworks for Piano Four-Hands” with pianists Heeyeon Chi of Korea and Victor Cayres of Brazil. The two internationally acclaimed musicians will perform classical masterpieces by Dvorak, Mozart, Poulenc, Rachmaninoff, and others. The concert takes place at the arts center at 24 West St. on Sunday, Jan. 27, at 3 p.m. Admission is $30 for adults, $25 for seniors, and $15 for students. See www.jameslibrary.org for tickets. HINGHAM Author Sandy Macfarlane will speak on her book “Swirling Currents: Controversy, Compromise, and Dynamic Coastal Change.” The book tackles important topics such as marine mammal protection, overfishing, climate change, aquaculture, and nutrient overenrichment. The free program takes place at the Hingham Public Library, 66 Leavitt St., on Saturday, Jan. 26, at 2 p.m. For more information see www.hinghamlibrary.org/calendar.aspx. MARSHFIELD The Bloom/Funkhouser Duo puts the bop in “Blues, Ballads, and Bebop,” a program the duo will perform at Ventress Memorial Library. Peter H. Bloom, on flute, and John Funkhouser, on piano, offer a mix of beguiling ballads, high-energy blues, and bouncy bebop numbers by great songwriters such as Hoagy Carmichael, George Shearing, Mercer Ellington, Charlie Parker, and others. The concert takes place at the library at 15 Library Plaza on Saturday, Jan. 26, at 2 p.m. It’s free. For more information on the library’s cultural series visit www.ventresslibrary.org. 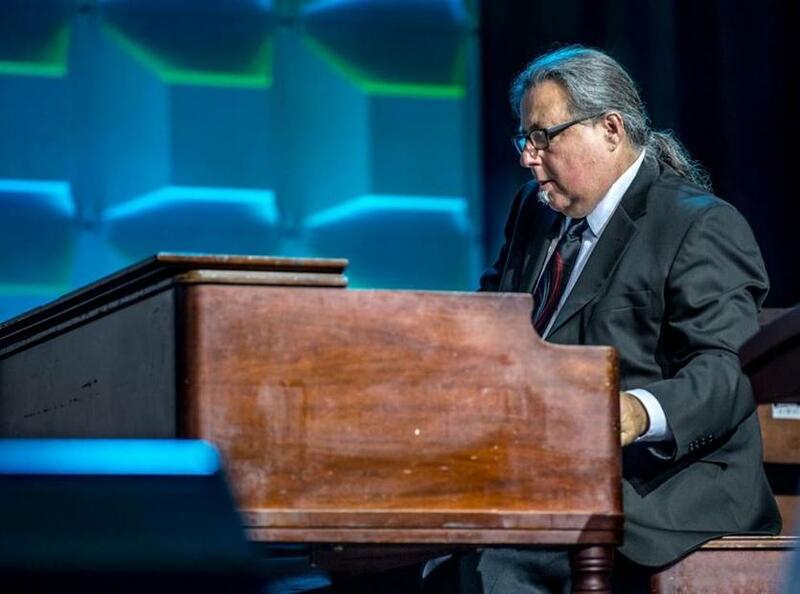 PLYMOUTH Pianist Anthony Geraci, who has recorded with many of the biggest names in blues music, leads the Boston Blues All-Stars to a show at the Spire Center for the Performing Arts. Geraci is an original member of Sugar Ray and the Bluetones. The band performs at the center at 25½ Court St. on Saturday, Jan. 26, at 8 p.m. Tickets are $20. To reserve or for more information visit www.spirecenter.org. 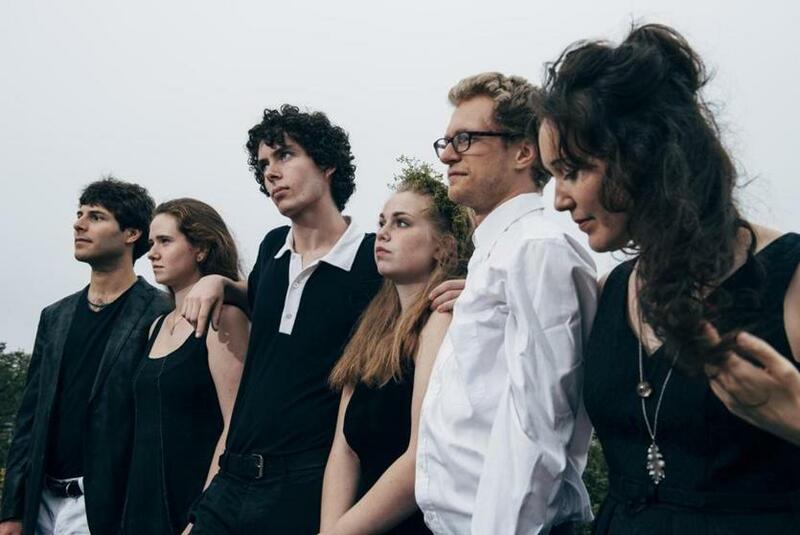 Night Tree is performing at the 2019 Revels FRINGE Concert Series. ARLINGTON The annual CATpella Festival to Belt Out Cancer takes place Friday, Jan. 25, at 7 p.m. at Arlington High School, 869 Massachusetts Ave. The concert honors the memory of Arlington teen Catherine Malatesta and benefits the Catherine J. Malatesta Foundation and the Sarcoma Foundation of America. The concert features seven accomplished regional a cappella singing groups, including Sound Off, one of New England’s top-ranked coed vocal ensembles; the Tufts Beelzebubs; and groups from Boston College, UMass Amherst, Arlington High School, and Winchester High School. Tickets are $20 per person. For tickets or more information, go to www.catherinemalatesta/a-catpella-festival or call 781-710-7823. WAYLAND The Wayland Winter Farmers Market convenes every Saturday now through March 16 from 10 a.m. to 2 p.m. at Russell’s Garden Center, 397 Boston Post Road. The market features more than 100 participating vendors and special days including New England Cheese Day on Feb. 9, Massachusetts Farm Wineries Day on March 9, and Farm Fiber Days on Sundays, Jan. 27 and March 3, from 10 a.m. to 3 p.m. Goods include produce, prepared foods, baked goods, seafood, pasta, meat, eggs, and honey. BELMONT The Belmont Human Rights Commission invites the community to a Dr. Martin Luther King Jr. Community Breakfast on Monday, Jan. 21, at 8:45 a.m. at Belmont High School, 221 Concord Ave. Keynote speaker is Dr. Emmett Price, founding executive director of the Institute for the Study of the Black Christian Experience at Gordon-Conwell Theological Seminary, with music by Lady Cap and separate activities for children. Tickets are $5/individual $10/family and can be purchased at the door or at www.eventbrite.com. For further information, contact 627-993-2795. Proceeds support the Metco fund. CONCORD The Umbrella Performing Arts continues its 2018-19 season with the rock musical “Hedwig & the Angry Inch” by John Cameron Mitchell and Stephen Trask, now through Feb. 9 at the Umbrella Annex, 57 Old Road to Nine Acre Corner. Tickets are $19 to $32.50 with discounts for seniors, students, military families, and groups. For a complete schedule of performances, go to theumbrellaarts.org or call 978-371-0820.